Picture from group : Knockadigeen summit viewed from Ballincurra Hill. 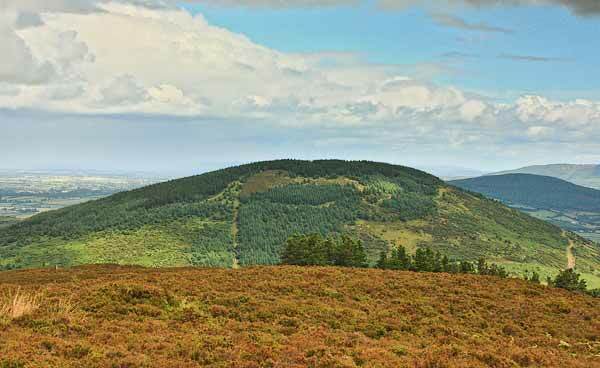 Picture: Knockadigeen summit viewed from Ballincurra Hill. Quick steep walk up with views of the NW Shannons. One way up is from the newly tarred (2012) road where there space for a few cars to park near R93092 70540 A without blocking gates. Ascend straight up through the forest beside a fence and later a broken wall. For an easier start find a looping track, shown on the OS 1:50000, that goes NW at first.